Israel is usually represented in the world media solely through its political hardship, and while it is true that Israel has been dogged by conflict ever since its independence and long beforehand, many of the positive aspects of this unique country are unfairly shrouded from public consciousness. The Tripbase award for the best Israel blogs has sensitively selected those which we feel best represent all aspects of the country, both positive and negative, yet favouring those which speak without political or religious affiliation. Aron's blog is filled with social commentary written with an astute and observational tone. Posts mainly concern the recent conflicts occurring in Israel, dissected neatly without any trace of needless alarmism. No facet of Israeli news gets past OneJerusalem, a news site written with a strong editorial voice more than a little humour from time to time. If you've never sampled Israeli food, you're in for an absolute treat. Varied, delicious and not overly challenging to recreate in your own kitchen, let Mimi of Israeli Kitchen guide you through this rich culinary playground. A refreshing and upbeat blog written by a national family woman. Besides being an interesting take on everyday life, the blog also dispenses handy advise to travellers looking to get the most out of visiting the country. Environmental issues affecting Israel are explored in this blog courtesy of the Zalul Environmental Association. Never preachy or overbearing, always thought-provoking. Yousef is an immensely knowledgeable Israeli who clearly takes a lot of time to bring us his expertly written thoughts on Israeli news and events through his blog, Love of the Land. Israel makes for a stunning stage for photography - the best single collection of photos on the 'net has to be Israel in Photos, presented complete with a fascinating blog which will have you checking back on a daily basis. A hard-hitting news commentary site which isn't afraid to weigh in on often difficult issues. Written with a great deal of passion by two authors living in Tel Aviv and Jerusalem respectively. An interesting look at the latest technological developments emerging from the Holy Land. Geared towards tech fanatics and related business professionals. An opinionated and thoroughly insightful look at life and events in Israel, written by Jerusalem resident and prolific blogger Judy Lash Balint. Injecting a lot of humour into the often grim news outlook, Dave Bender's series of blog posts and podcasts will strike a chord with anyone who doesn't like to take things too seriously. 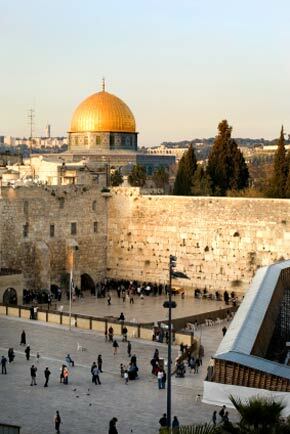 An indispensible online guide for travellers and Israeli residents alike. Features great tips on subjects such as apartment rental and learning the lingo. Liza Rosenberg's writing is breezy, innovative and pithy - applied to the subject of Israeli living, we are treated to one of the most unique journals to come out of the country. Israellycool is more than just a semi-clever pun on the blog's country of origin. No topic is immune from its wide-ranging and cynical look at all things related to Israel. Never miss a great travel deal again! © 2010 Trip Technologies Inc. All rights reserved. No part of this site may be reproduced without our written permission. We'd really like you feedback. Please help us out by taking our 2 minute survey!